Whether your issue is a few extra pounds or much more, losing weight is a goal that many of us aim for throughout the year. However, gym memberships can be costly, and going to the gym can be a nerve-wracking task, particularly for newbies or for anyone not living in close proximity to a gym. That being said, there are many things you can do at home to promote weight loss without so much as stepping a foot inside the gym, from simple life hacks to building your own home gym. Let’s take a look! Here’s a quick guide on how to lose extra pounds without going to the gym. These six tips are easy to implement into your daily life. When we eat, our stomach sends signals to our brain with every bite. When we first begin our meal, the hunger signals are strong, but as we continue to eat these signals get weaker and weaker until our brain is told that our stomach is full. However, this signal takes some time to process, so if you are a quick eater, you can get much more food down before your brain even knows you’ve eaten. One way to fight against extra pounds is to eat more slowly, giving your brain time to get the full signals. By chewing more slowly, you can eat less food and lose that weight. The standard sized dinner plate is actually quite a lot larger than plates used to be. Because of this, we tend to eat more food than we did decades ago, which could be contributing to the weight gain we see as a society. In order to overcome this, we can trick our brains into thinking we are eating our normal sized meals by using smaller plates. A smaller plate can make a smaller serving look much bigger which leads to a more satisfying meal even if you’re eating less. The foods we eat throughout the day can affect how much more food we want. If we eat junk food that is full of calories and not much else, it leaves us feeling even more hungry all the time. If we substitute this bad food for foods which have the power to make us feel full for longer, then we can overcome our daytime snacking and last longer between meals. Protein is great for reducing our appetites in this way, as it can affect hormones that interact with hunger and fullness. Incorporate more protein into your meals and as snacks and you’ll find yourself eating less. Your cupboards, probably contain a mix of lots of different kinds of foods and it wouldn’t be surprising to find some junk in there. If you have junk food laying around the house, you’ll be finding that it’s hard to keep the weight off, as this will be the first thing you reach for when you want to snack. If you start storing your unhealthy foods out of sight, or even throwing them away or donating them to a food bank, you’ll find that your snack times are far healthier and this will lead to weight loss. To maintain good health, we are supposed to drink a lot of water each day. However, this can be hard to maintain. Aside from hydration, water can also offer us a way to overcome our overeating habits. If you can’t drink the full two to three liters of water per day that you are supposed to, then at least try and drink half a liter before you sit down to a meal. Not only will this help you hit your hydration goals, but it will also help you eat less food. Replacing soda with water is also a great way to kick those extra calories out of your diet. All this good advice is great, but you also need to make sure you get enough exercise. You don’t have to go to the gym to hit your workout goals, as there are plenty of home gym alternatives that you can set up. In fact, you don’t even need much equipment or money to get a home workout plan in place, and you can visit hometraininghero.com to get yourself started. By combining your new diet with regular exercise, you’ll be losing the extra weight in no time at all. If you’ve decided that you want to lose your extra pounds, then good for you! Making that decision is just the first step in the process but you’re now one big step closer towards accomplishing your goals. 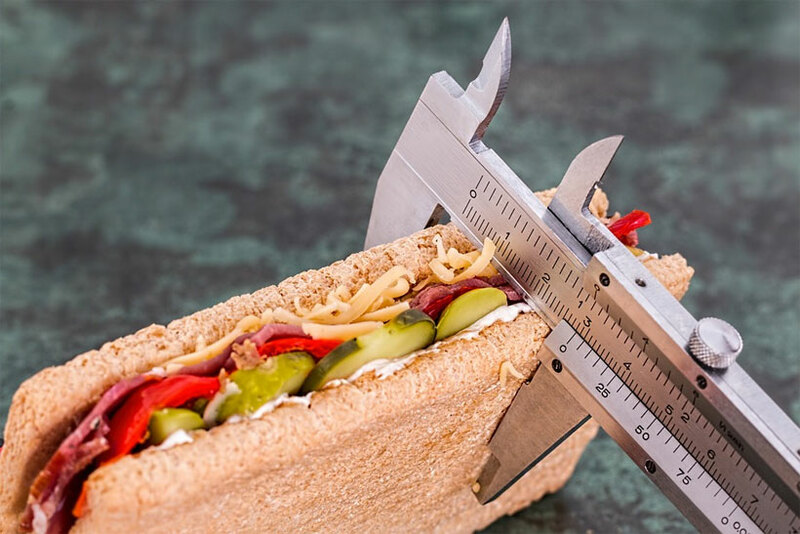 With our guide, you’ve now learned six different and easy to implement ways in which you can cut down calories in order to lose weight without having to step outside, much less go to the gym. Start small, and soon you will see the changes in yourself!